Mechanic Falls, ME - Thomas Joseph Cunningham, 70, of Mechanic Falls, ME passed away peacefully Friday, March 9, 2018 at his home with his family by his side after a short illness. He was the husband of Rolande (Hamel) Cunningham. 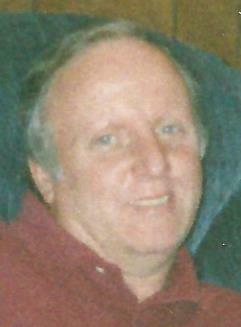 He was born on June 21, 1947 in Lewiston, ME a son of the late Thomas C. and Geraldine (Murphy) Cunningham. He attended local schools in Lewiston and graduated from Lewiston High School in 1967. Tom served in the US Air Force from 1967 to 1971 and worked for Pioneer Plastics for 36 years before retiring. Thomas loved going to Oxford Plains Speedway and also enjoyed watching Hockey, football and especially watching the Patriots. He loved family gatherings where he spent time with his great nieces and nephews Aliyah-Marie, Chianne, Donovan, Brock, Easton Hamel and Ridge Bissonette whom he thought of as his grandchildren. Besides his wife, the love of his life, Thomas is survived by his son Timothy Cunningham, Daughter Melissa Cunningham and a nephew Corey Hamel whom was thought of as a son. He also leaves several nieces and nephews, sister in laws and brother in laws. He was also the brother of the late Daniel Cunningham and Rosemary Michaud. We would like to sincerely thank Androscoggin Home Health Hospice and the Dempsey Center for the incredible support and care he and the family were given. In the spring there will be a graveside service followed by a celebration of life.